Did you know that January is National Hot Tea Month? Hot tea comes in a variety of flavors and has a multitude of health benefits. 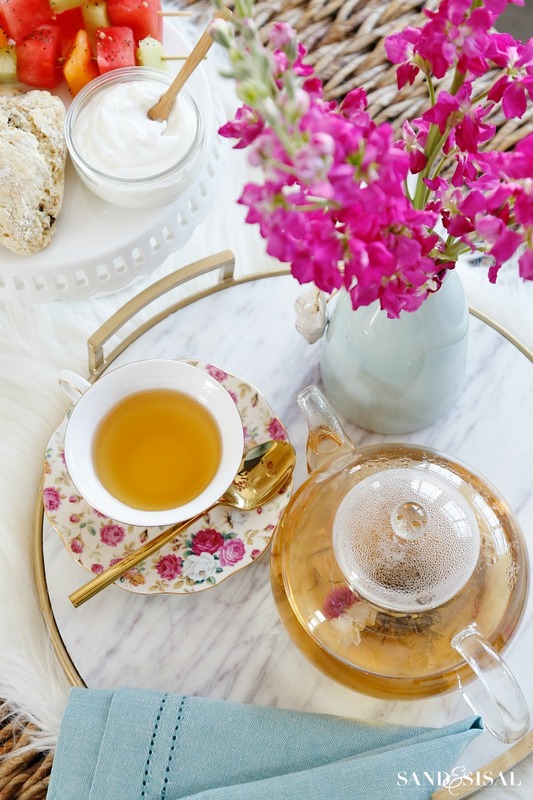 In celebration of simmering hot tea month, let’s host a cozy tea party for two! 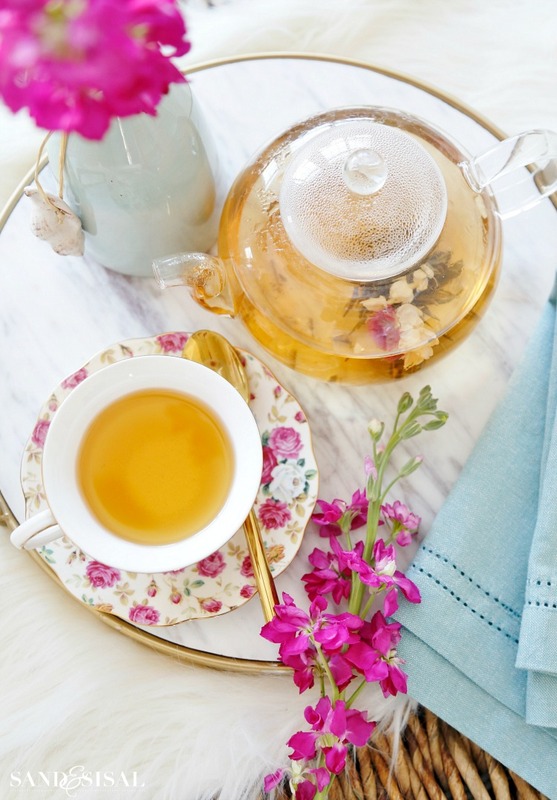 Today I’m sharing a few delicious and easy Tea Party Ideas and Recipes that incorporate tea. 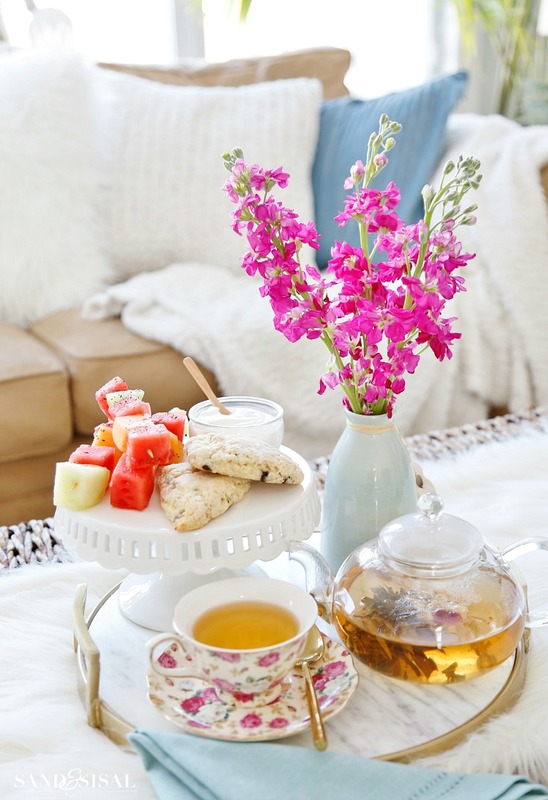 Invite your best friend over and put on a pot of tea! Let’s first talk a little about tea. There are only three types of tea that all come from the same tea leaf: green tea, black tea, and oolong tea. 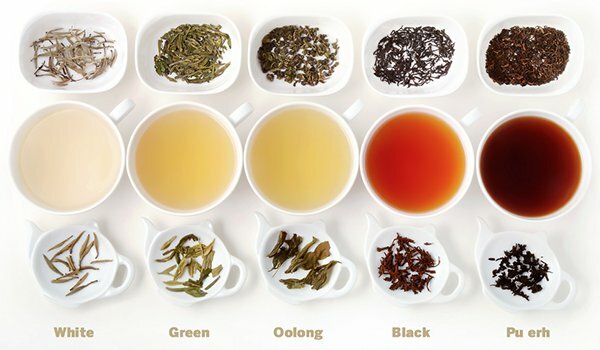 White and red teas are simply younger or older versions of the three main tea types. The difference between the teas is how they are processed or fermented, which is the drying process. Each process develops different compounds of the tea and results in a variety of health benefits. Black tea has the highest caffiene of all teas. It helps blood flow in the brain, promoting focus and concentration. Green tea has powerful antioxidents which can inhibit the growth of cancer cells, is helpful in the prevention of heart disease and aides in the body’s ability to burn fat. Oolong tea has been shown in studies to significantly burn more fat than even green tea! So if you are focusing on weight loss during the month of January then drinking 2-3 cups of oolong tea each day should be helpful. 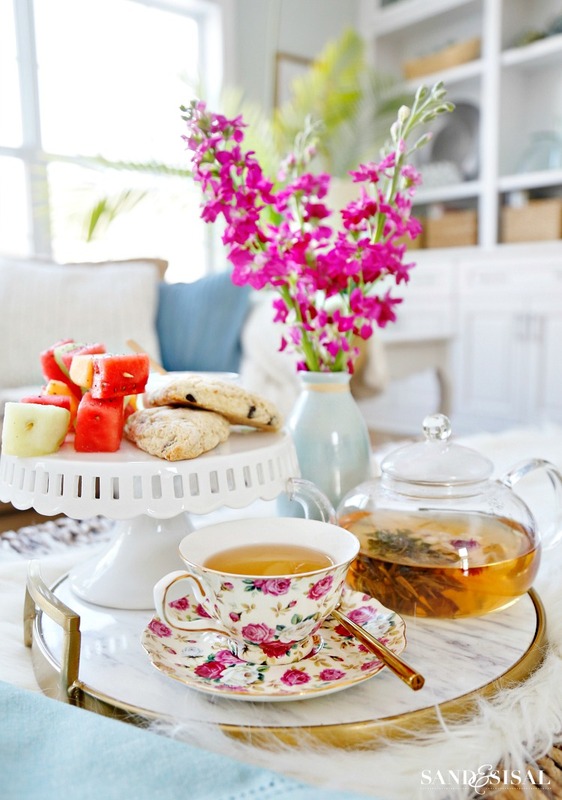 An afternoon tea party is easy to put together. 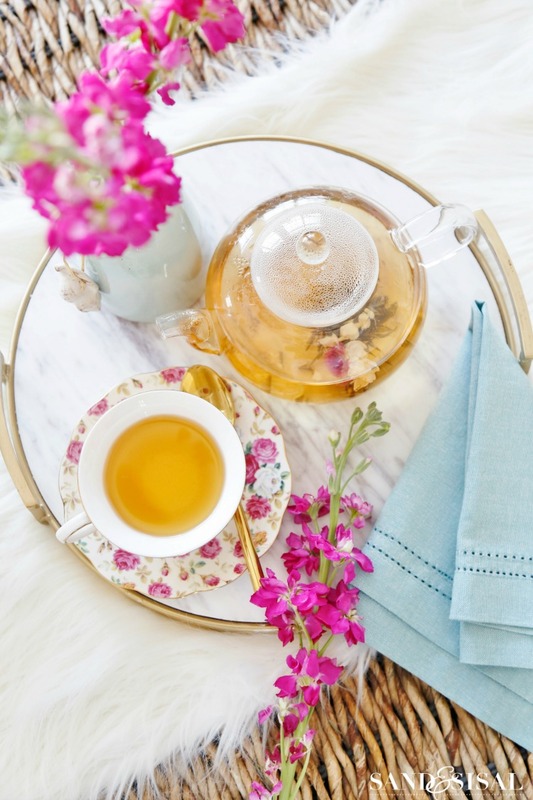 All you need is water, your favorite tea, some pretty tea accessories to make the occasion extra special and of course a few yummy treats! 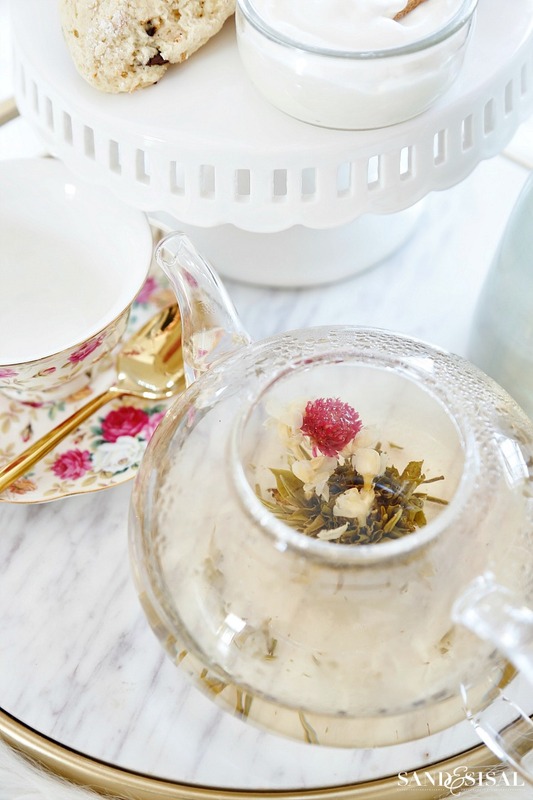 Loose tea leaves or tea bags can be used but have you ever brewed a beautiful green tea flower? Green tea flowers are so unique, are tantelizing for the eye, and make a wonderful tasting tea. Each tea blossom can be used several times too. They start off as a tight tea ball which you place in a pot and then pour boiling water over. The green tea ball slowly opens into a beautiful blooming flower. The tea flower is allowed to steep for a few minutes then you gently swirl the flower and then pour into your cup. How special is that? Every tea party needs finger foods. Scones are always my favorite tea party recipe. I have the most delicious and simple scone recipe you have to try. The recipe is for Chocolate Chip Scones but you can substitute any dried fruit or nuts for the chocolate chips if you like or even leave them plain. To accompany the scones, I like to serve lemon curd, raspberry jam, and whipped cream. This cream is elevated with the subtle, lavender flavor of Earl Gray tea. To make Earl Gray Whipped Cream, pour 1 cup of heavy cream into a pot. Slowly bring to a simmer. 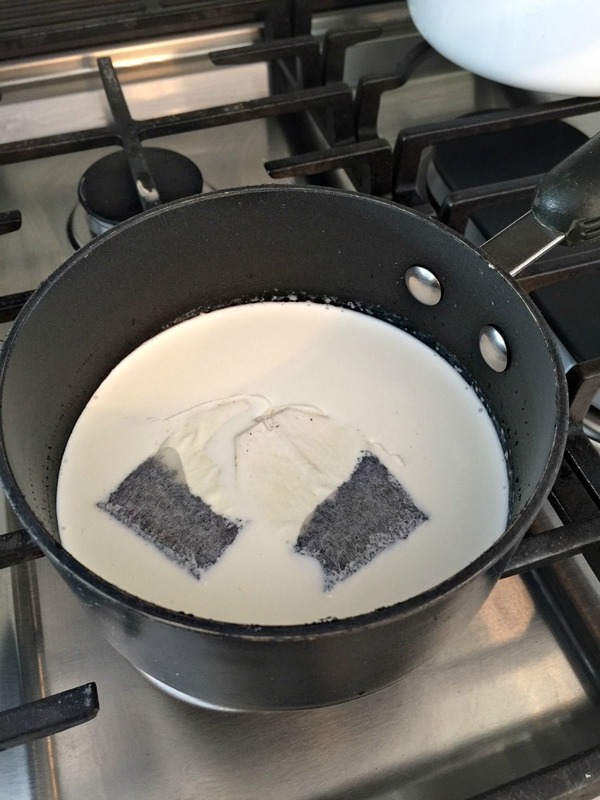 Remove cream from heat, add in 3 Earl Gray tea bags and stir. Allow the tea to steep in the cooling cream for approximately 30 minutes then remove the tea bags. Refigerate the cream. When you are ready to whip the cream, add 2 tablespoons of granulated sugar and whip with an electric mixer until thick and fluffy. 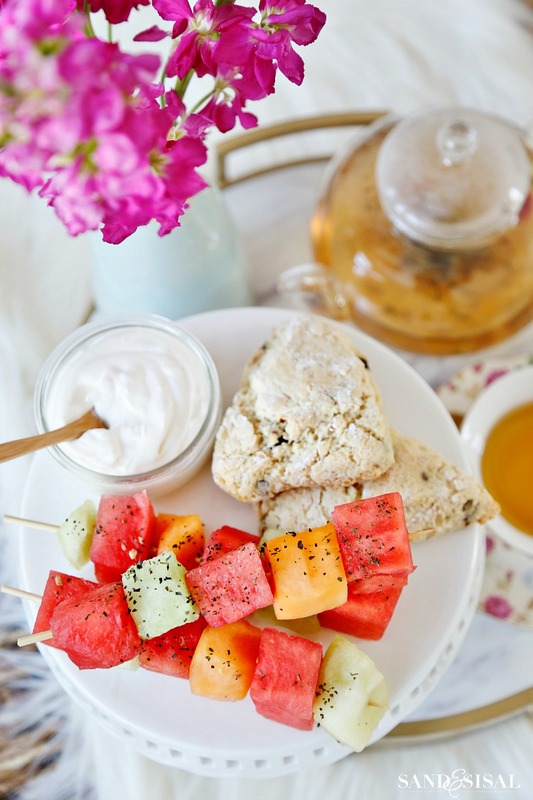 Fresh fruit is always a nice addition to a tea tray. Purchase pre-cut melon cubes from the grocery store and thread onto a wooden skewer. For these I used watermelon, honeydew melon, and cantelope. Cut open one oolong or green tea bag and put the tea leaves in a small bowl. Mix in 1 teaspoon of kosher salt or pink Himilayan salt. 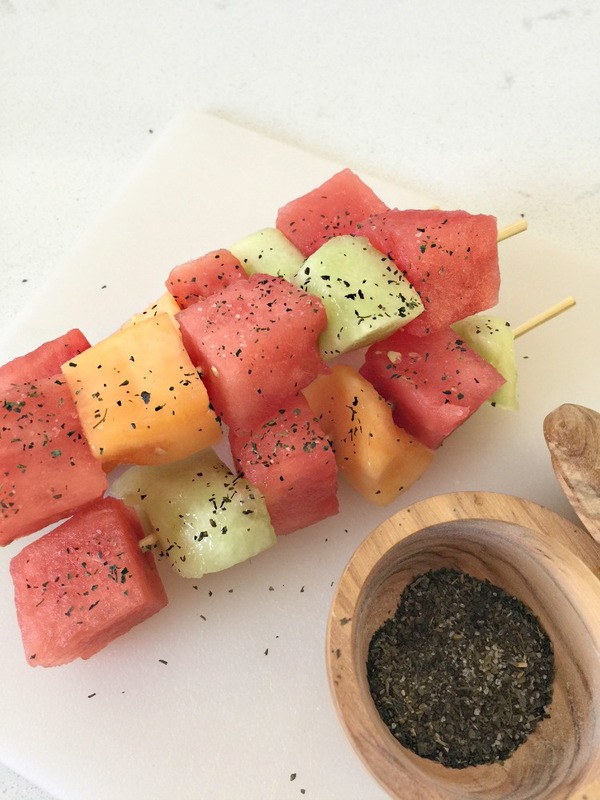 Sprinkle the salt over the melon skewers and serve. 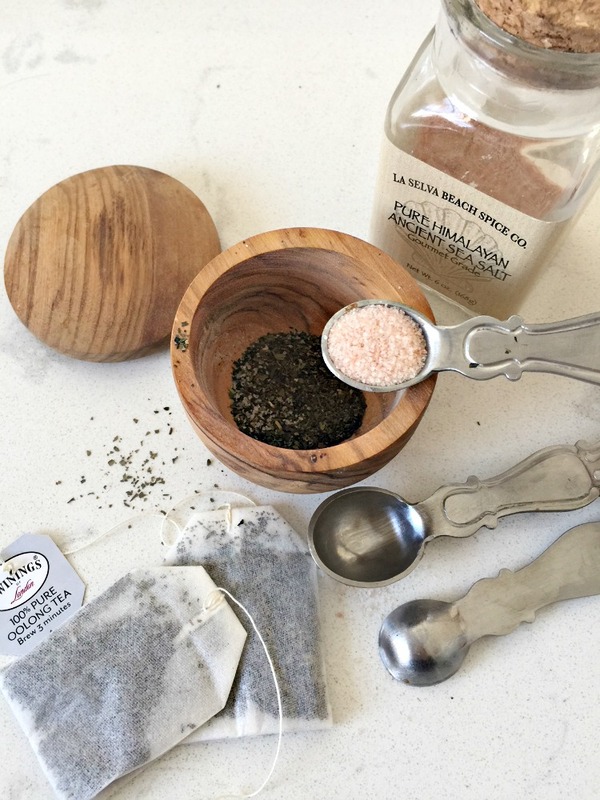 The tea salt enhances the melon flavor and balances out the sweetness. 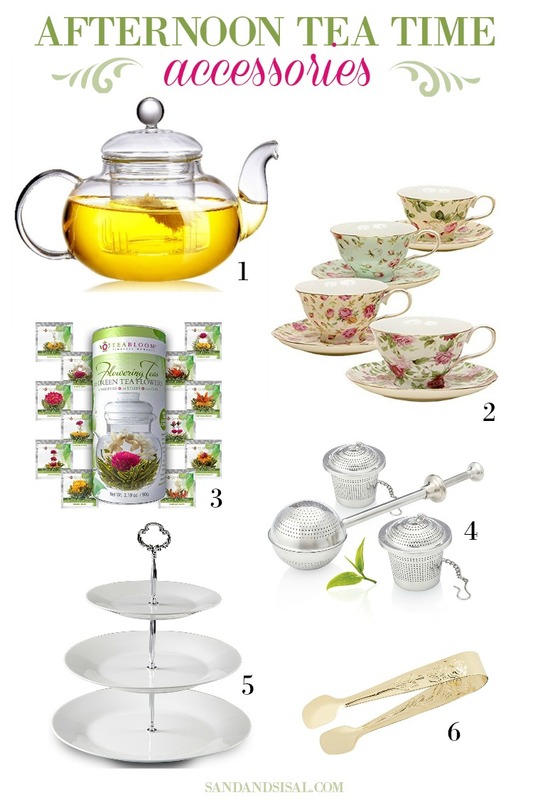 I’ve pulled together some of my favorite afternoon tea time accessories. Click any of the blue affliliate links below to shop for the items. In celebration of National Hot Tea Day on January 12, 2018 the National Tea Association launched their annual #IndividualiTEA Photo Sharing Sweepstakes. Get ready for your chance to win $500 and a year’s supply of tea! 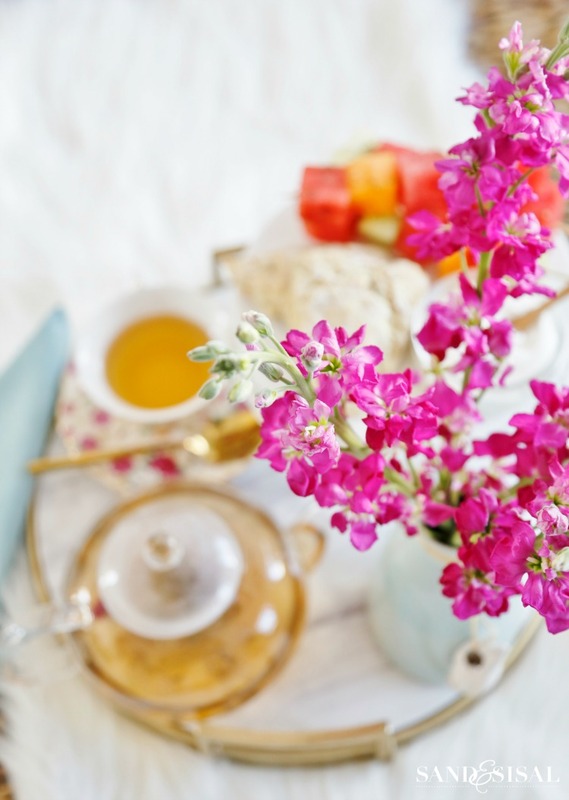 I hope you’ve enjoyed these tea party ideas and recipes! Grab a girlfriend, whip up a few of these tea time treats, enjoy a cup of simmering hot tea and drink to your health! Special thanks to the National Tea Council for sponsoring this post! All expressed opinions are my own. I love tea, but I had never heard of tea flowers before. What a beautiful, interesting idea for a tea party. Thanks for sharing. I also liked the idea of using various teas as flavorings for other foods. Thank you Pat! I recently discovered them too. Aren’t they fun? They taste exactly like any green tea, just with a decorative flair!